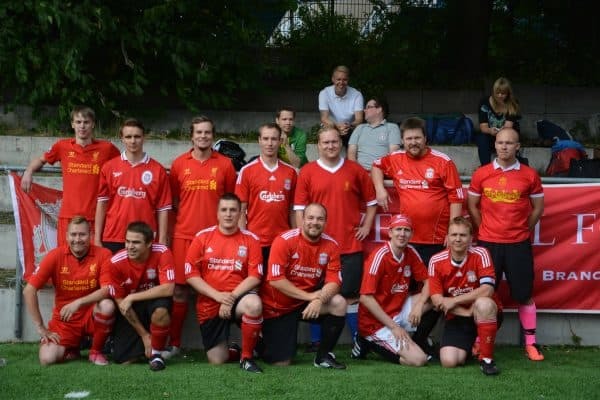 Liverpool’s connection to Finland dates back to the club’s greatest era of success, and we spoke to a member of their supporters’ group to find out more about following the Reds on the continent. Finland has long had a deep connection with Liverpool Football Club dating back to the 1970s and ’80s when the Reds’ period of dominance was broadcast across the region—leading to a new wave of supporters from mainland Europe. The connection to the Reds only intensified upon the arrival of fellow countrymen Sami Hyypia and Jari Litmanen at Anfield in the early 2000s, where the former established himself as a Liverpool legend following a successful 10-year association with the club. 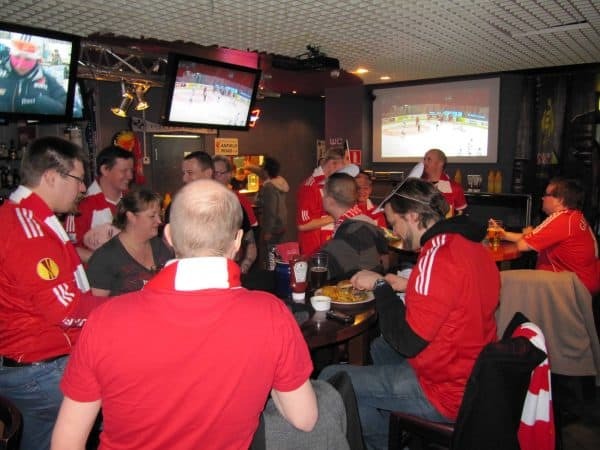 The Reds’ following in Finland remains as strong as ever and the official supporters’ club is always seeking to stand out from the rest. 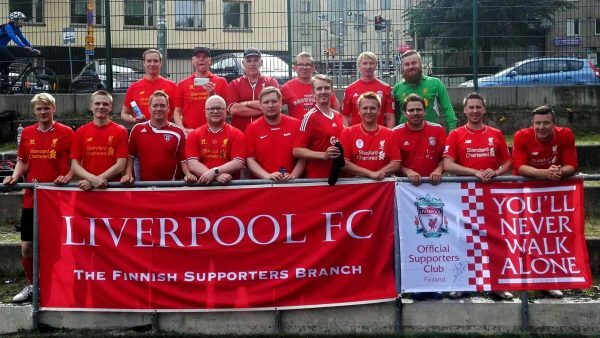 This Is Anfield spoke with Iiro Romo of the Official Liverpool Supporters’ Club in Finland (@OLSCFinland) to discover what life is like as a member of the tight-knit community in Helsinki. The socialisation process of identifying yourself with a specific club can take many forms, be it passed down through generations, through friendship circles or a team’s success or style. For Iiro, however, his love for Liverpool was sparked in a unique way. Iiro was born and raised in Finland and like many others in the region the only way to lay eyes on Liverpool was through satellite television, and people often gathered together to watch the games at specific locations. It ultimately led to the formation the supporters’ group in 1999, with official recognition gained in 2008, where the love for the Reds in the region was only set to grow following the arrival of Hyypia on Merseyside. Now, just shy of their 20th anniversary the club continues to be a place where Liverpool’s supporters, both near and far, can congregate together to support Jurgen Klopp’s men. “We are a small, but tight-knit group; a real community. It’s a relaxed atmosphere and although we are small in numbers, we do have expatriates who will float in and out from time to time,” Romo explains. “We try to get together for every game, but sometimes it is hard to meet up in line with kickoff times with work and everyone’s busy schedules to consider. “We are the ones who try to do things first, to be different and unique to any other supporters’ group in the country in everything we do. “But we do things properly and we are proud of what we are. And speaking of Hyypia, the former Liverpool defender is known to drop in at the club from time to time for scheduled appearances. With the goal to set the standard and seek uniqueness in all that they do, the group go above and beyond to accommodate members across Finland as they look to foster a sense of community, regardless of how far away some supporters are from the club’s base in Helsinki. “Two or three times a season we will organise a meet-up with other members across the country. “We will typically play a lot of games and go to saunas, which is a big part of our culture in Finland. “We also make our own fanzine which we release three times a year to all our members. It includes information about our group and we also interview supporters about their travels and supporting Liverpool. 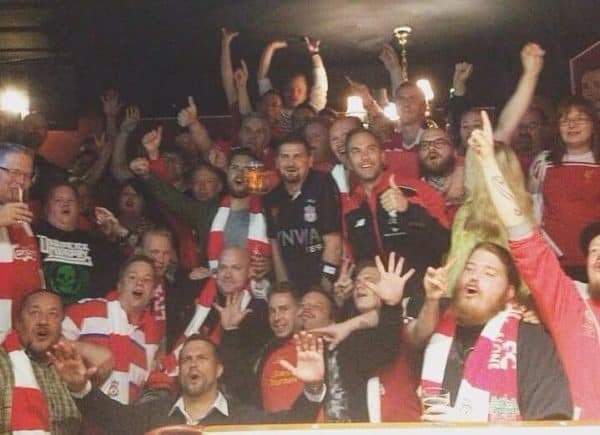 Although the group itself may be small in numbers the sheer power of Liverpool’s fanbase in Finland was on show during the Champions League final earlier this year. 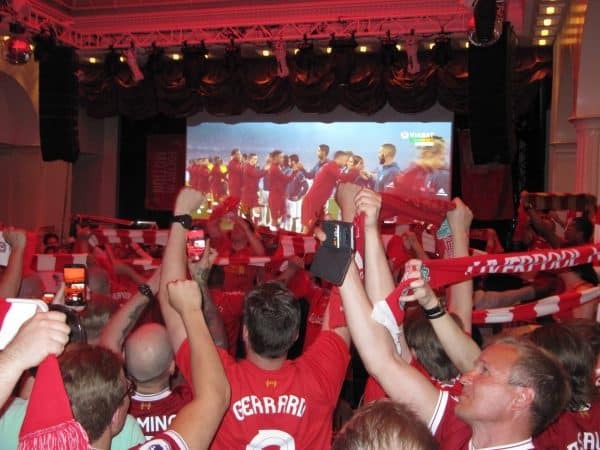 “For the Champions League final, we initially had 100 people set to come and watch and from that it meant we expected an absolute maximum of 200. “But we then had to change venues from our regular spot a number of times as the numbers kept rising. “We ended up getting a hall in a casino to watch the game and over 600 people ended up coming! “We didn’t have enough food and they even had to close the doors to stop more people from coming in because more people turned up than we had expected. Even though Liverpool failed to be successful on the night the result did not dampen the sprits of the Finnish Reds, a tight community who are banded together by a club located 1,144 miles away. Thank you again to Iiro Romo and the Finland Supporters’ Club, you can find them on Facebook here and on Twitter @OLSCFinland.